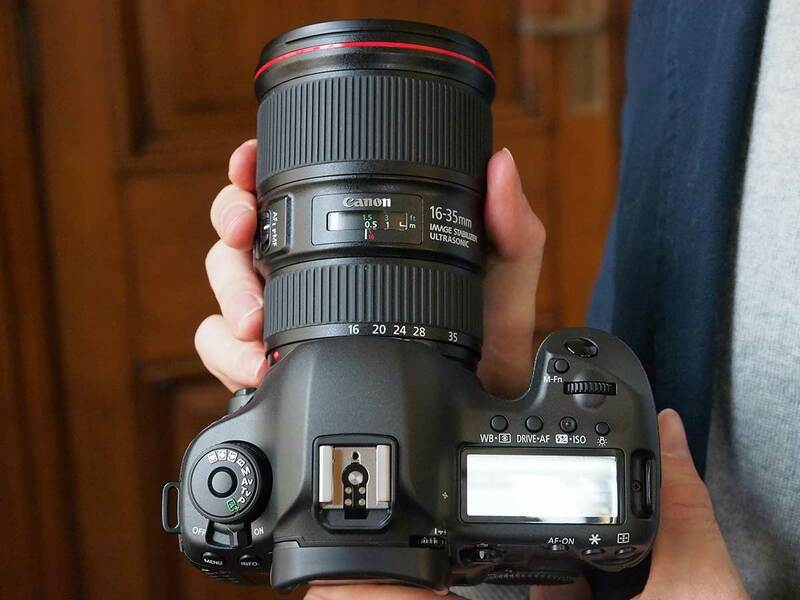 After weeks of online rumours as to what might be coming from Canon in 2015, the manufacturer has taken wraps off two new full-frame DSLRs – the EOS 5Ds and EOS 5Ds R. Building on the success of the EOS 5D Mark III, the EOS 5Ds and EOS 5Ds R are set to target photographers looking to record unparalleled levels of detail thanks to the inclusion of a 50.6-million-pixel full frame sensor that’s never been seen before and has been designed exclusively by Canon, making it the highest resolution full-frame sensor to date. While the two models are identical in nearly every way, the key difference is centred around the optical low-pass filter (OLPF). Whereas the EOS 5Ds incorporates a low-pass filter in front of the imaging sensor to reduce the effects of false colours and moiré patterning, on the EOS 5Ds R this effect is essentially ‘cancelled’ to maximise the resolution and resolving power of the sensor – a very similar approach that we’ve seen Nikon apply before on the D800E. Another feature we’ve previously associated with Nikon DSLRs, which Canon now seems to be addressing, is in-camera crop modes. As well as being able to record images at the maximum 50.6-million-pixel resolution, there are now 1.3x and 1.6x crop modes available to get just a bit more reach from EF lenses. It should be noted however that these crop modes do have an impact on the output resolution, producing a 30-million-pixel image and a 19-million-pixel image respectively. Added to this, the bods at Canon have taken time to re-engineer the mirror box assembly to ensure the 5Ds and 5Ds R operate as smoothly as possible to reduce any risk of blur caused by the mirror’s movement. 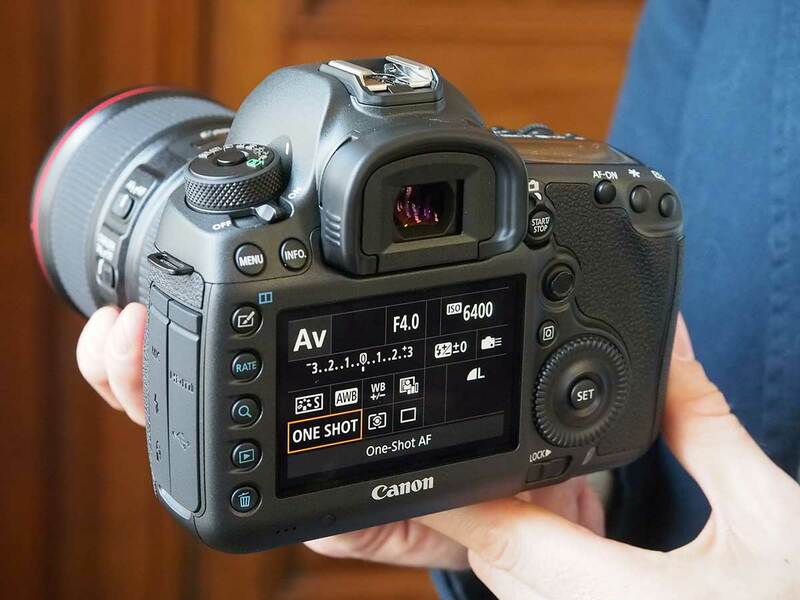 Canon’s all-new mirror vibration control system uses cams to operate the mirror in a smoother fashion, resulting in a shutter-release sound that we found to be quieter than the EOS 5D Mark III from our hands-on experience with the EOS 5Ds. Getting back to the sensor’s capabilities, it offers a native ISO range of 100-6400 that’s expandable to as low as ISO 50 or as high as ISO 12,800. While this might not be as wide-ranging as the EOS 5D Mark III, which shoots between ISO 100-12,800 (with the option of expanding to ISO 50 and as high as ISO 102,400), the EOS 5Ds and 5Ds R’s sensitivity ceiling should be sufficient for the landscape, fashion and architectural photographers, whom both models are out to target. Imaging sensor aside, the 5Ds and 5Ds R feature the same arrangement of dual DIGIC 6 processors as used on the manufacturer’s flagship model – the EOS 1D X. Both processors are designed to handle the huge volumes of data created by the 50.6-million-pixel sensor, while offering a maximum continuous shooting speed of up to 5fps – one frame per second slower than the EOS 5D Mark III. Not to be let down by its autofocus system, both of the new models adopt the superb 61-point AF system from the 5D Mark III, which comes with 41 of the sensitive cross-type points, including 5 dual cross-type points at f/2.8. We’re yet to touch on the subject of exposure – this is left in the capable hands of Canon’s 150k-pixel RGB+IR metering sensor, which first made its appearance in the Canon EOS 7D Mark II. 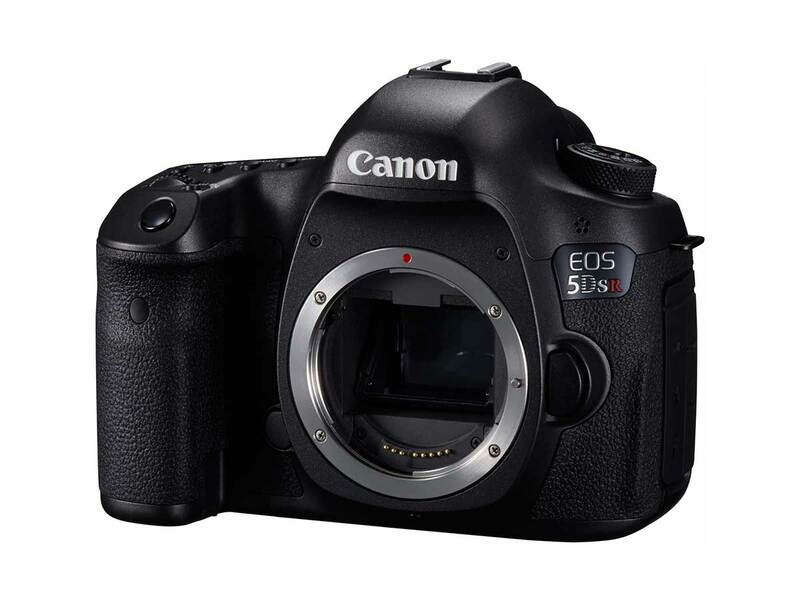 Also carried to the 5Ds and 5Ds R is the same flicker detection technology that ensures images are only shot at their brightest level – intelligently analysing the light source and detecting flickering light the eye simply can’t see. Although the innards of the 5Ds and 5Ds R are different to the 5D Mark III, they’re housed within the same magnesium alloy body and feature the same level of weather sealing. As to be expected, the appearance and feel are near enough identical to the 5D Mark II, with the gold lettering (gold and red on the 5Ds R) helping to identify both models and ensure the two stand out as the premium option in the manufacturers EOS for professionals DSLR range. Canon users looking at these latest additions to the EOS 5D-series will appreciate that both are powered by the same rechargeable LP-E6N Li-ion battery that has enough stamina to shoot approximately 700 shots from a single charge, while the bodies of both the 5Ds and 5Ds R are compatible with Canon’s BG-E11 battery grip (£249). Clearly designed to capture the highest quality still images, the 5Ds and 5Ds R are also capable of recording video footage at Full HD (1920×1080) resolution, with a variety of frame rates to choose from including 30,25 and 24fps. What’s also interesting on the video side of things is Canon’s decision to do away with the headphone port at the side, replacing it instead with a USB 3.0 terminal that the manufacturer clearly appreciates is of greater importance for users of these cameras. The 3.5mm mic port for attaching an external microphone remains positioned above the PC socket and remote release sockets at the side. At the rear, the 5Ds and 5Ds R also adopt the 3.2in, 1040k-dot Clear View II LCD screen from the 5D Mark III. Where there has been a change however is to the Quick Control screen interface, which now allows for much better customisation of the type, size and position of icons. Whereas the Quick Control screen was locked down and couldn’t be customised before, users can now rearrange the layout to their liking – not only helping to speed up the time it takes to make important adjustments, but to also setup the camera in a way that feels more instinctive to the user. 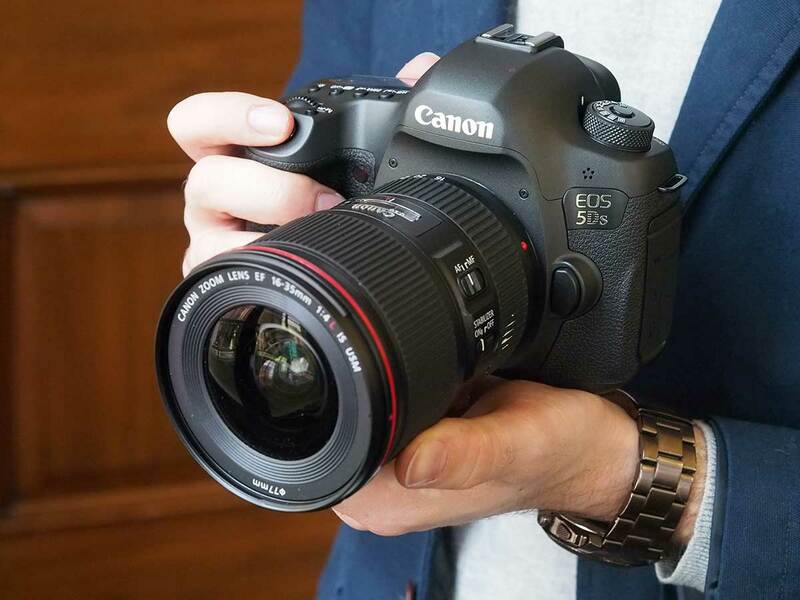 Just like the Canon EOS 5D Mark III stunned us when it arrived on the scene in 2012, the EOS 5Ds and 5Ds R do the same, though it must be made clear that both are out to target a more specific audience, namely the type of photographer who wants to resolve ultimate sharpness and detail from every pixel. Both cameras are sure to whet the appetites of landscape, fashion, portrait and architectural photographers, but also those who regularly shoot stock photography for image libraries where there’s a continuing demand for the highest resolution possible and in many cases the opportunity to earn more. Canon looks to have overcome the huge demands of the 50-million-pixel sensor very well indeed by implementing a pair of powerful DIGIC 6 image processors to run the camera at an impressive speed, and during our brief hand-on with a pre-production 5Ds sample (5Ds R samples weren’t present at the UK launch) we experienced no issues with regard to the performance of shooting such large files, even when set to continuous. The addition of the 1.3x and 1.6x crop modes is also well received, and with the 1.6x crop mode deployed I found it impressive how the AF coverage stretched to the far corners of the frame. 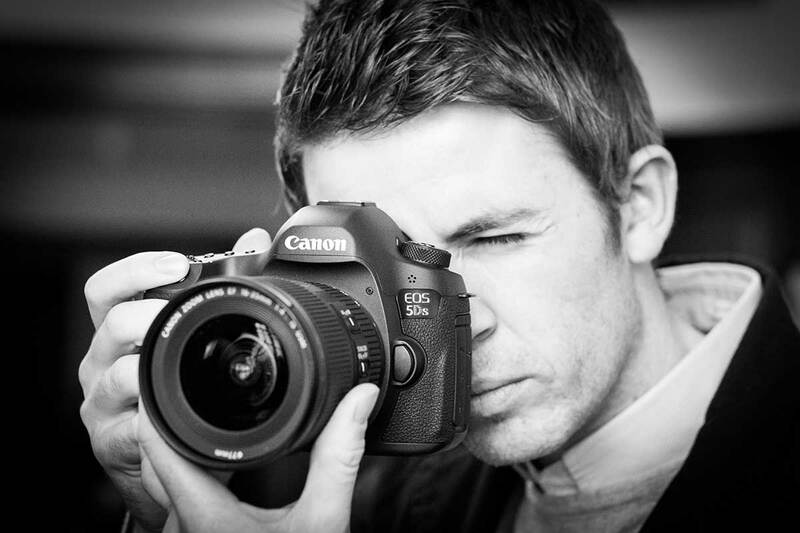 As briefly mentioned earlier, the shutter did seem slightly quieter in use than the EOS 5D Mark III, while in terms of the design and overall appearance, the 5Ds that we got hands-on with featured the same robust and hard-wearing build quality that we’ve come to expect from Canon’s pro-spec DSLRs. Being the only 50-million-pixel full frame DSLRs available at the time of writing, the 5Ds and 5Ds R currently sit in a field of their own and look set to challenge other DSLRs with high-resolution outputs extremely hard – the current and closest full-frame rivals being the Nikon D810 and Sony A7R. Our underlying concern of how well the huge files will run on anything but the most expensive and fastest computers is something we’re keen to investigate further, but rest assured this is what we’ll be putting to the test as soon as our review sample arrives at the AP office. The EOS 5Ds and 5Ds R will be available to pre-order straight away from most retailers, however both aren’t expected to hit UK shores until June. In terms of price, the Canon EOS 5Ds will hit the market at £2999.99, with the EOS 5Ds R costing £199 more with an asking price of £3199.99.